Head of TEC Plus will join Trivers. Education •Master of Architecture & Urban Design, Washington University, and Master of Architecture, Tulane University. Family • Lives in St. Louis. Married with two sons, a step daughter and a grandson. Economic recessions are an example of trickle-down pain. As the slowdowns tighten their grip, corporate earnings fall, unemployment rises and construction lags. That lag means less business for building designers, namely, architects. Trivers Associates, the design firm headed by Andy Trivers, was not immune to the pain the last recession produced. But the worst is over and Trivers Associates recently acquired TEC Plus Architects of Manchester. TEC Plus employees will relocate to Trivers Associates’ office downtown. Current Trivers projects include the redesign of exhibit space at the Old Courthouse and Urban Chestnut’s brewery in the Grove entertainment district. Trivers, a native of Chattanooga, has lived in St. Louis since 1970. A committed city dweller, he lives on the 11th floor of a condo building on Skinker Boulevard. When friends ask if he regrets not having a yard, he points out that Forest Park is across the street. “I have a great front yard,” he said. From an architect’s standpoint, what is the future of cities? I think the future of cities is very good. There’s interest by the new millennials (typically defined as those born in 1980 and later years) that have an interest in community, as opposed to being isolated in suburbia. There’s a distinct movement of people from suburbia back to the cities, even though it has been slowed in the last few years by virtue of the recession. I still think that as technology unites people, it simultaneously divides them. What people really value most is that face-to-face meeting you can get only in an urban environment, an environment where people are forced to walk and not use the car and use public transportation. They sense that the city is their living room, that where they meet people and entertain and where they come together is done not so much on an individual basis or in a single-family home but in developments where housing occurs in urban areas and you can, in various forms — whether it’s single family or multifamily — can have this coming together of people. How can St. Louis take further advantage of this activity? Certainly, public infrastructure is a very important component in attracting people. Streetscape. Mass transit. The simple fact is that to have a sustainable future we’re going to have to have more density. People cannot continue to use their own private transportation. People have to use more mass transit. There will be more opportunities for people to come together. So to the extent that the city can provide that infrastructure and the amenities that people will seek when they do move back into an urban environment then use for entertainment and socializing that will help enhance this movement back to the city. What led to the acquisition of TEC Plus? We have been doing lately a lot more institutional projects for universities and we found that one of the greatest needs is for research and development of new technologies, whether it’s at the university level or at the total health-research level. We wanted to be part of that kind of design expertise that assists universities and other institutional clients making breakthroughs in new technologies in biotech and genome sequencing and in other laboratory design kind of projects. How did your firm cope with the recession? For the most part, architects tend to be very committed to their work and devoted to the practice of architecture and creativity and design. So really they’re willing to do things that perhaps that in other industries are impossible to achieve. We at times have had to reduce salaries. We’ve had some layoffs and in some cases we reduced work periods to less than 40 hours a week. But for the most part, it’s been a combination of several things related to salary reduction. With the economy rebounding, what’s the future of the profession, locally and nationally? I’m very optimistic about the future of architecture. I think that, in fact, there’s going to be a greater emphasis on design and the expertise that architects can bring to the overall process of delivering projects, particularly their role as buildings and construction increasingly get more and more complicated and technologies get more complex. Architects are the ones most ideally suited to serve the role, if you will, as the conductor of this symphony of experts and highly talented individuals that all come together to make the process successful. So I really see the architect almost as if he were the master builder of generations past who understands the overall process and has the ability to direct this increasingly large group of talented individuals to deliver a project that really suits all the specific design and functional criteria and characteristics that clients require in our contemporary age and for the age in the future. 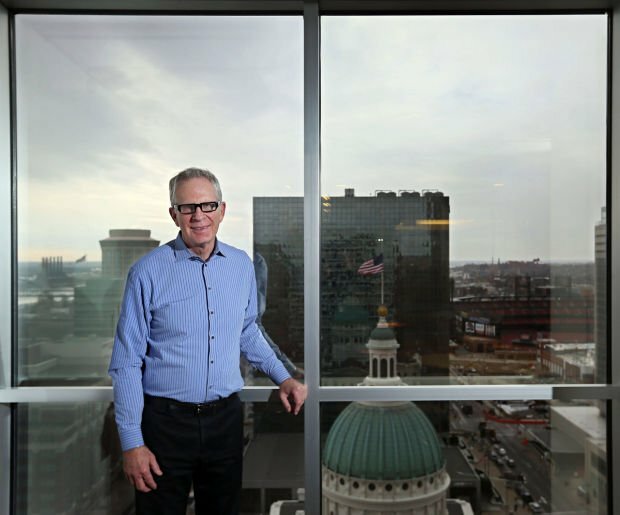 Tim Bryant covers commercial real estate, development and other business stories for the Post-Dispatch. He blogs at Building Blocks, the Post-Dispatch development blog. Copyright 2014 stltoday.com. All rights reserved. This material may not be published, broadcast, rewritten or redistributed.